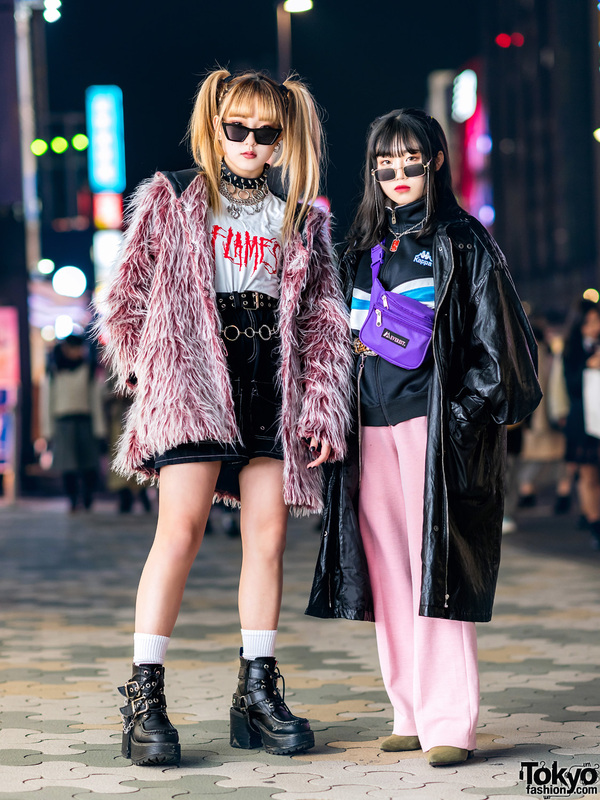 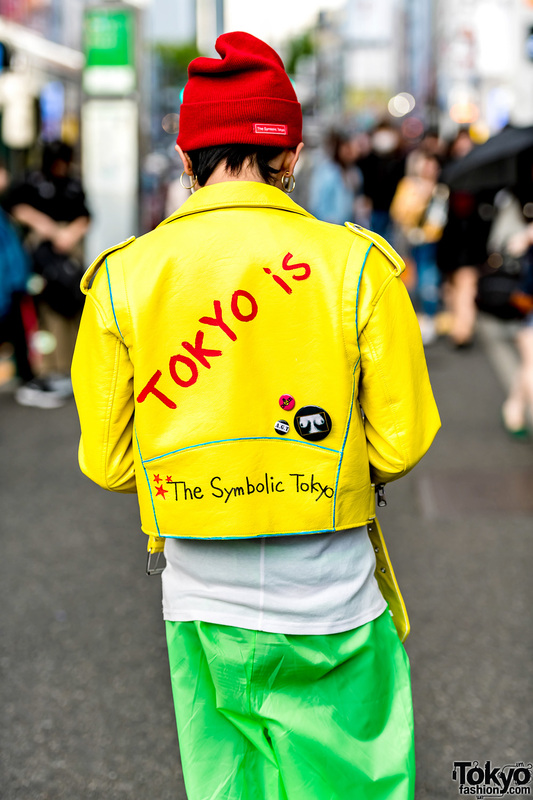 Adding shades of citrus to the streets of Harajuku, we spotted S,you wearing a leather jacket emblazoned with “Tokyo Is” on the back. 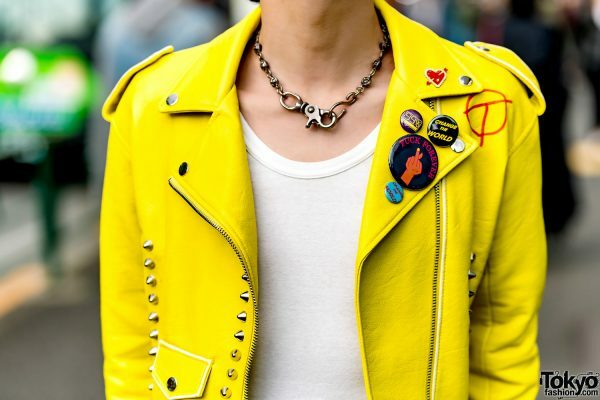 The Japanese designer donned a yellow leather jacket from his own brand, The Symbolic Tokyo, which featured a front zip closure and studded embellishments. 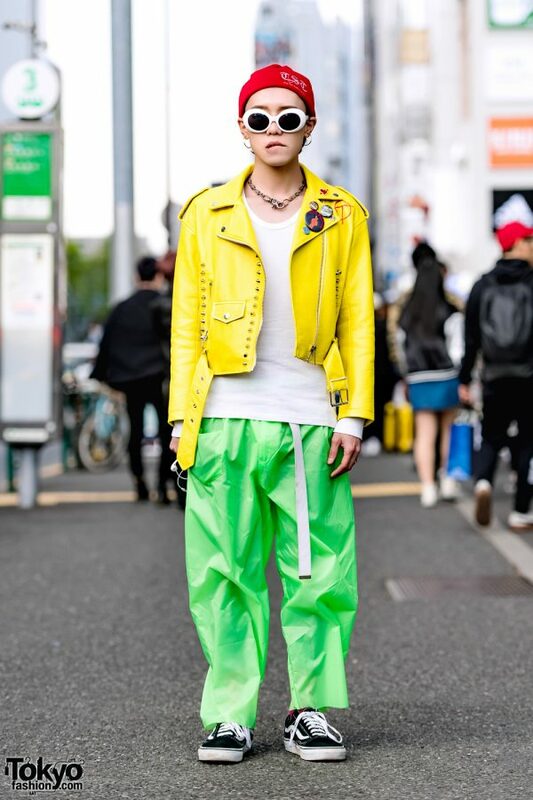 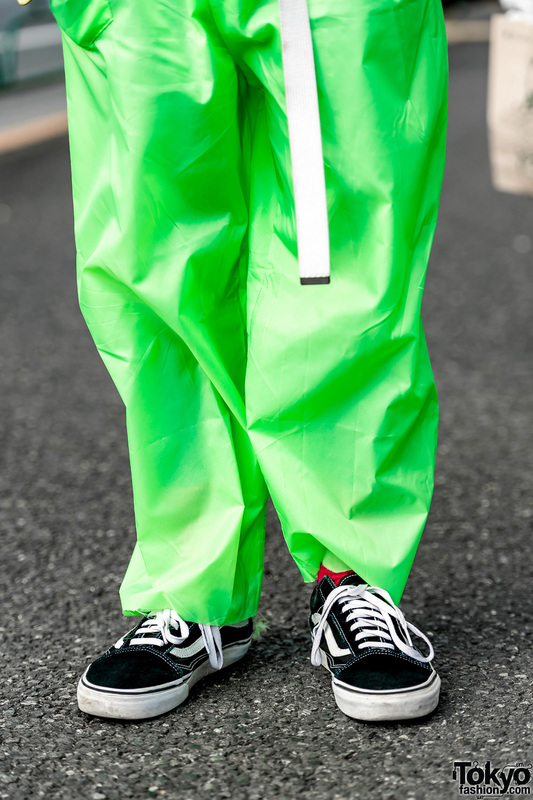 He also wore a white top from N.Hoolywood, loose lime green pants, red socks, and Vans black lace-up sneakers. 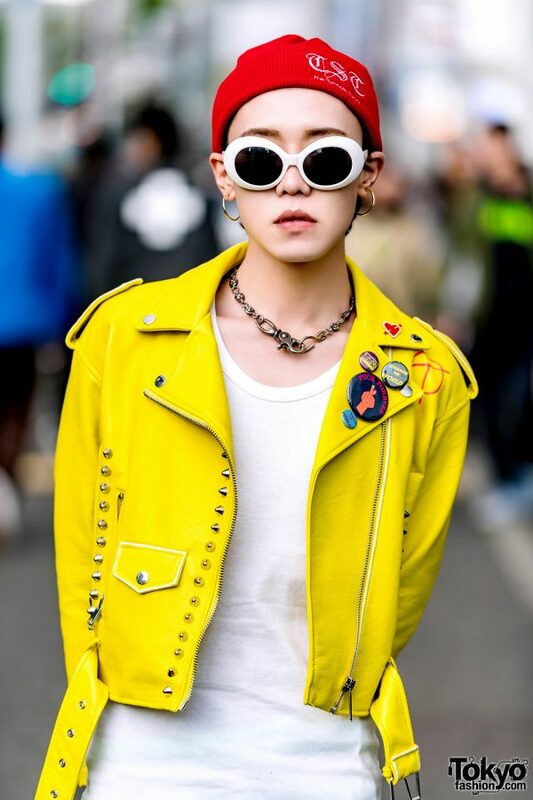 S,you completed his look with a white belt, a chain necklace, oversized hoop earrings, white-framed sunglasses, and a red knit beanie. 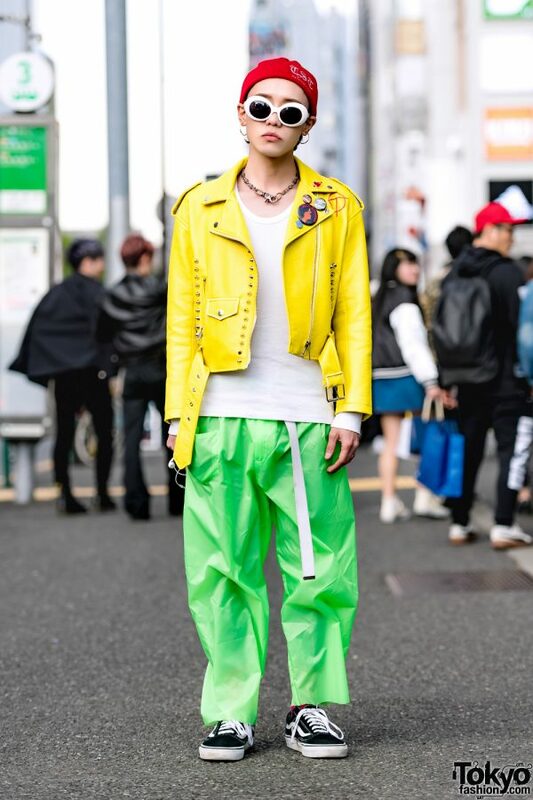 For more on S,you, follow him on Instagram.